During the 2018 holiday season, Metropolitan Planning Organization of Johnson County (MPOJC) entities once again joined together to honor Linda Severson with the Severson Holiday Charity Challenge. Severson, who served as the human resources planning coordinator for the MPOJC from 1994 until her death in 2011, coordinated the City of Iowa City’s holiday donation drive each year. After her death, city and county government staff with whom she had worked organized the “Severson Holiday Charity Challenge” to help carry on her work. This friendly competition between MPOJC entities encourages contributions to local charitable organizations chosen by each entity with the “winner” of the Severson Cup selected on the basis of increased giving over their most recent year of participation. This year, staff from Iowa City, Coralville, North Liberty and Johnson County participated in the challenge. This year’s donations were directed to all three area food pantries in Coralville, North Liberty and Iowa City as well as the Joan Buxton Children’s Aid Fund and Valley View Lodge, a Shelter House Fairweather Lodge. 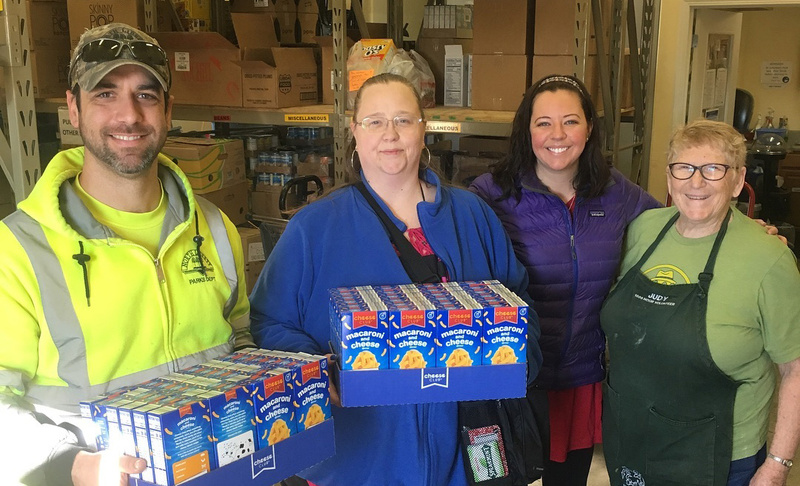 The City of North Liberty was awarded the winner of the 2018 Severson Challenge as employees more than tripled their previous contribution to the North Liberty Community Pantry. Together, staff from the four entities donated more than $11,100 in cash and goods to the various local charities — a 15 percent increase over 2017. The Severson Cup, an engraved travelling trophy, will be turned over to North Liberty for the year. University Heights took top honors in 2017’s challenge.